Critics of Islam find it hard to believe that the Qur’an was perfectly preserved, so rather than examining the evidence that proves that it was, they often create arguments using very weak evidence to prove that it was not consistently preserved. 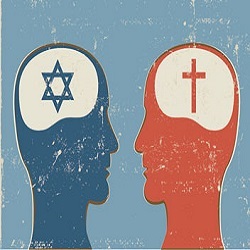 Through a careful examination of their evidence, it is clear that they do not know the full context of any of the topics they bring up, and thus, their arguments fall apart once the full scope of the situation is revealed. 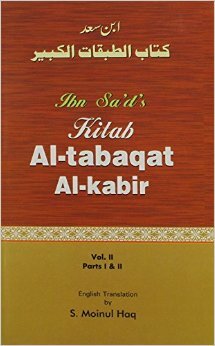 One such discussion revolves around the mushaf of Ubayy bin Ka‘b, which allegedly had two “additional” surahs. However, this article will clearly show that these additions were only supplications that Ubayy chose to write in his manuscript, but not parts of the Qur’an itself. The number of surahs (chapters) in the mushaf (personal copy of the Qur’an) of Ubayy bin Ka‘b is one of the top ten arguments of Orientalists and Christians against the perfect preservation of the Qur’anic text. It is said that Ubayy’s mushaf had two “additional surahs” and critics make use of such statements arguing against the unanimity of the earliest Muslims on the Qur’an’s content. 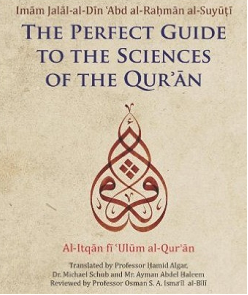 The arguments sprout from the narrations quoted in the well-known work al-Ittiqan of as-Suyuti (d. 911 AH). اللهم إياك نعبد ولك نصلي ونسجد وإليك نسعى ونحفد نرجو رحمتك ونخشى عذابك إن عذابك بالكفار ملحق. Thereafter as-Suyuti quotes multiple narrations showing the Companions recited these “two surahs” in their prayers. These words dubbed as “surahs” are actually supplications taught to the blessed Prophet by the Archangel Gabriel. Apparently, the Prophet was praying against the Mudhar tribe with strong words asking for the torment in their favor, so Allah reprimanded him with the words in Qur’an 3: 128 and made Gabriel to teach him these supplications instead. 5. Why repeat it in the ritual prayers? One may, however, like to point out the narrations that say the Companions recited these words in the prayers itself. The narrations quoted by as-Suyuti show that ‘Umar, Ubayy and Abu Moosa used to supplicate with these words in their prayers. The truth simply is that Islamic juristic law in light of the prophetic example sanctions these supplications to be made in the regular ritual prayers (salah) itself, so therefore we find many Companions supplicating with these words. This extra supplication is done on a daily basis in the last rak’ah (unit) of witr (optional night prayer) and at the times of confrontation with the enemy even in the fajr (morning) prayers (some scholars do it in fajr regularly as well). 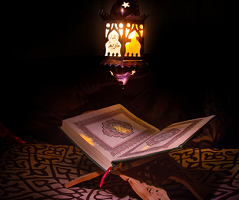 As such one can pray with any words, and there are other supplications also mentioned in hadith narrations, but these particular words were taught directly by Gabriel, much the same way as the Qur’an was revealed, therefore, Muslims generally had more love for these words to repeat in their prayers. We have already seen the precise information how these words were taught by angel Gabriel. This is to highlight the reason for the Companions’ preference of these words as qunoot supplications in witr and fajr prayers. This simple fact explains all the narrations about companions and their students reciting these words in prayers. Orientalists and missionaries usually suggest that the Qur’an the Muslims know today was standardized by ‘Uthman and therefore does not represent the consensus of the earliest Muslims, but only his political authority. With such baseless ideas fixed in their minds the simple plain reasoning that none of the Companions who recited these words in prayers ever made any effort to get these words recorded in officially prepared copies of the Qur’an is not expected to move them much. However we have evidence that even ‘Uthman recited these words in prayers. This seals the deal. ‘Uthman bin ‘Affan himself recited these words in the prayers and yet we do not find them in the manuscripts prepared under his authority. Is it not enough of evidence that merely recitation in the prayers does not mean the Companions considered it a part of the Qur’an? As already shown, it was only a supplication taught to the Prophet by Gabriel, and in turn, to the Companions by the Prophet himself. 7. Why did Ubayy write them in his mushaf? Even though it was written in the mushaf of Ubayy, it does not signify that to him the words were part of the actual text of the Qur’an. “‘Umar bin al-Khattab – may Allah be pleased with him – used to recite this in the prayers. And the Messenger – peace and blessings on him – taught it to ‘Ali to recite this in the prayers! Yes this is true. But it’s not that it was from the Qur’an, rather it is a supplication to Allah. Furthermore, the text of the Qur’an that all Muslims read today (the so-called mushaf of ‘Uthman) was dictated to Zayd and the rest of the Companions by Ubayy and is according to the recitation of Ubayy. So clearly the mushaf that we recite today, which includes 114 surahs, was dictated by Ubayy and is according to his recitation. This destroys even the remotest idea of Qur’an, according to him, having something additional to what is known today. May the peace and blessings of Almighty Allah be upon him. It is mandatory for every believer to recitations salutations to the Prophet upon hearing or reading his name. al-Hindi, ‘Ali al-Muttaqi, Kanzul Ummal, (Beirut: Mu’ssass ar-Risalah, 1981) Vol.2, 587, Hadith 4789.